Frank Byrnes (Centre) presents proceeds of the #NeverGiveUp challenge to volunteer members of the Oranmore Maree Coastal Search Unit L to R; Stephen Sullivan, Mike Cummins,Sean Green and Brendan Commins. Frank ran a total of 206km. After much exertion and determination running 206km completing the #NeverGiveUp awareness and fundraising campaign for Oranmore Maree Coastal Search Unit, Oranmore businessman, Frank Byrnes is taking a well-earned break and has handed over a cheque for €3,053 which he received in sponsorship for this worthy cause. Frank launched the #NeverGiveUp challenge on Sunday 30th October when he and his wife Marian began and completed the Dublin Marathon. Two weeks later he undertook the Belleek Back to Back ie. two marathons in two days (84km ) on Saturday 12thand Sunday 13th November. The Wicklow Way Ultra was the end goal of the challenge and particularly sweet success following a great attempt in 2015, while Storm Desmond raged, the bitter cold got the better of Frank at the 42km mark when he was forced to stand down. Not one to let it get the better of him, Frank returned this year. Seventy-eight participants from all over Ireland and France were dropped off by bus at Sheilstown Forest in south county Wicklow for a 7am start and instructed to run back over the mountains to Dublin City! Frank used his #NeverGiveUp mantra for the day, especially when the going got tough and in fact he finished ahead of time. Frank is a native of Oranmore where he lives with his wife Marian and three children. 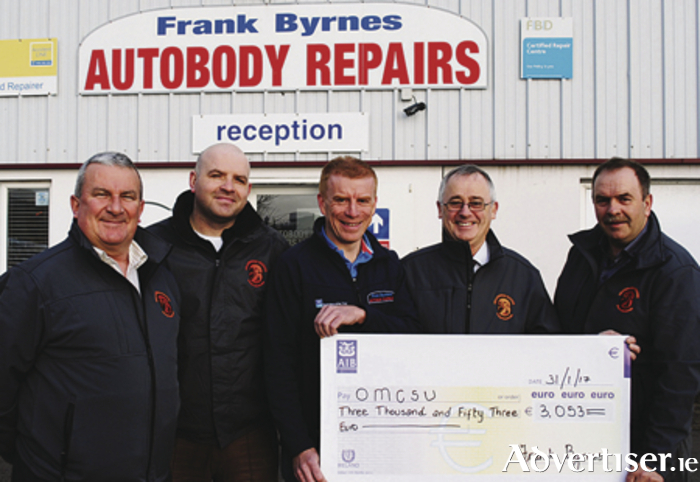 He is Managing Director of Frank Byrnes Autobody Repairs which ranks in the top three nationally - where he has a team of twenty-one employees that specialise in car collision repairs. He is well-known in motor sports, running and business circles for his integrity and generosity of spirit to the community. Page generated in 0.1899 seconds.